It is time once again to shine the light down on another amazing project on Kickstarter. With this project, it is from a company we have spotlighted in the past and has delivered an amazing product via the popular crowdfunding site. Get ready to ride, as Boss Fight Studio brings Vitruvian H.A.C.K.S. 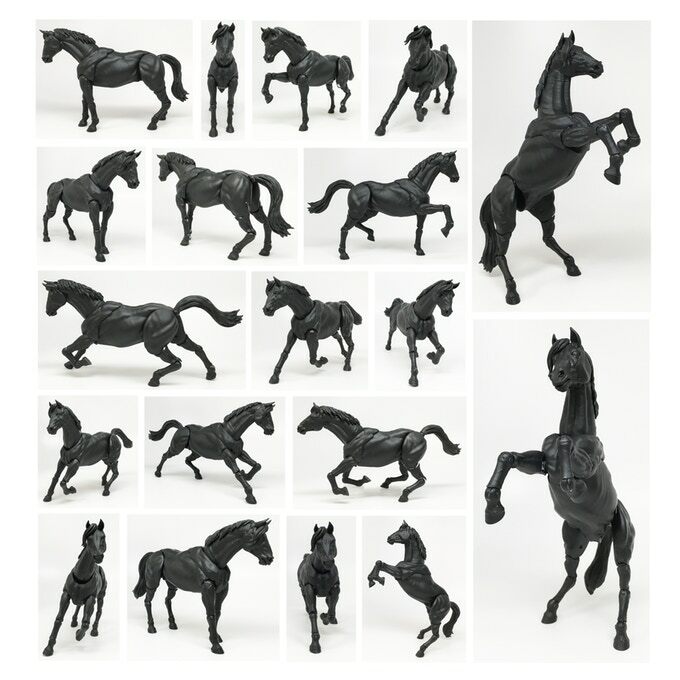 1:18 scale horses to life. I was thoroughly impressed with the last project Boss Fight did, which gave us 1:18 scale figures of Spartans, Medusa, and more. The articulation and quality were amazing, so when I saw the same company would be making articulated horses, I had to share. There are quite a few varieties of horses here, as well as add-on items for the previously released knights, Spartans and such. From unicorns, Pegasus, centaurs and the amazing sugar skull horse among others, this project is one you want to get behind. By the way, Sugar Skull? Only unlocked if 500 backers back the project, so get backing!!! These are in scale with 3 3/4 inch G.I. Joe and Star War figures as well, making a welcome addition to quite a few toy lines. I can say that you should back this project with confidence: this company, though small, has a proven track record of being reliable, and delivering the high-quality product possible. Check it out before it rides into the sunset. 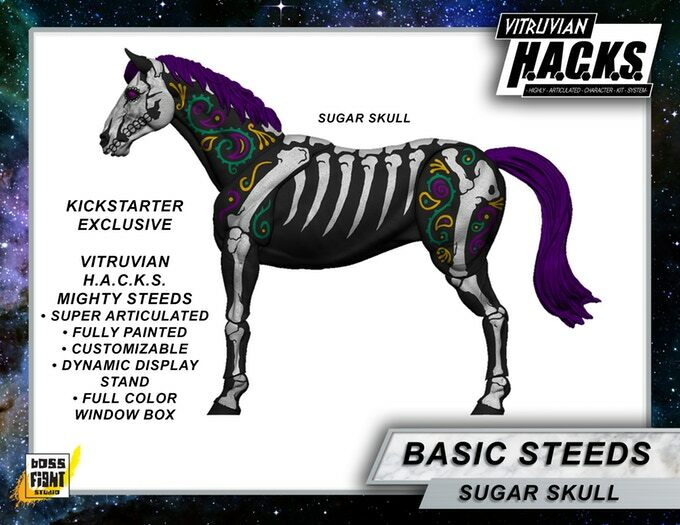 To check out more on this project, visit their Kickstarter page at https://www.kickstarter.com/projects/813878470/vitruvian-hacks-1-18-articulated-horses-by-boss-fi.